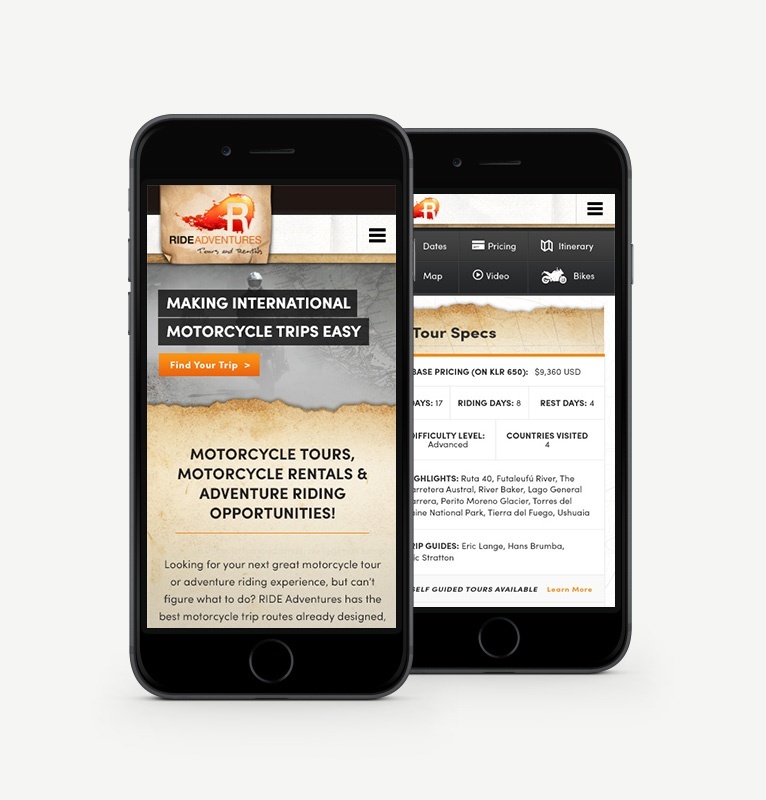 RIDE Adventures, a custom motorcycle adventure tour company, already offered a mobile-friendly website, but felt it was not providing the best mobile experience possible. The company wanted to simplify its search function to make it easier for the mobile user to find a desired tour. To simplify the process, Stream Creative created a custom filtering system in the HubSpot COS using blog feeds and custom modules. Creating a seamless filtering option for the user provided a significant increase in time spent on Tours By Type page. This provided users an easy view of the tour offerings available during the times and price range they desire. This page also became a great sales tool for Ride to use during their conversations with prospects. The Tour page on mobile offers a similar experience and allows users on mobile, table, or desktop to view the same options. This was an important feature based on traffic from mobile. Need help with a campaign? Give us a shout!